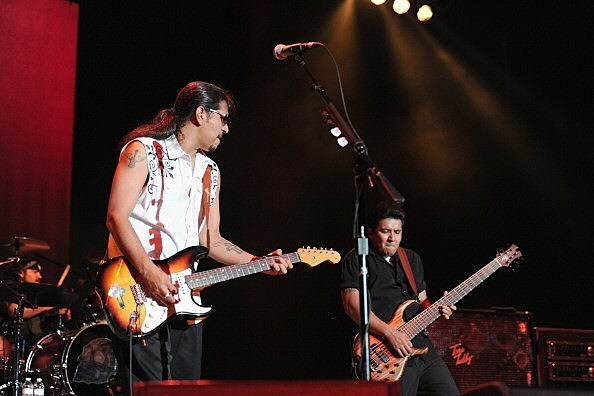 Los Lonely Boys, the Texican rock n' roll trio of brothers, have been on fire since debuting in 2003. They've won a Grammy, opened for the Rolling Stones, and played and recorded with such legends as Willie Nelson and Carlos Santana. Don't miss them live in Montana on February 15, 2012, when they bring their unique spirit and energy to the Wilma Theatre in Missoula. Tickets are still on sale! A lot of people still remember Los Lonely Boys from their debut single "Heaven". The song launched the newcomers right onto the Billboard 100 and won the group a Grammy back in 2005. The three brothers continue to reach new levels of musical dynamics with each album. Their latest, Rockpango, is the band's first self-produced album and considered by many fans to be their best work yet! Don't miss Los Lonely Boys' Wednesday, February 15th performance at the Wilma Theatre in Missoula. Doors will open at 7 pm, show starts at 8 pm. Tickets for this all-ages show are $25.00, available at Rockin' Rudy's, by calling 877-4-FLY-TIX, or online at www.ticketfly.com.